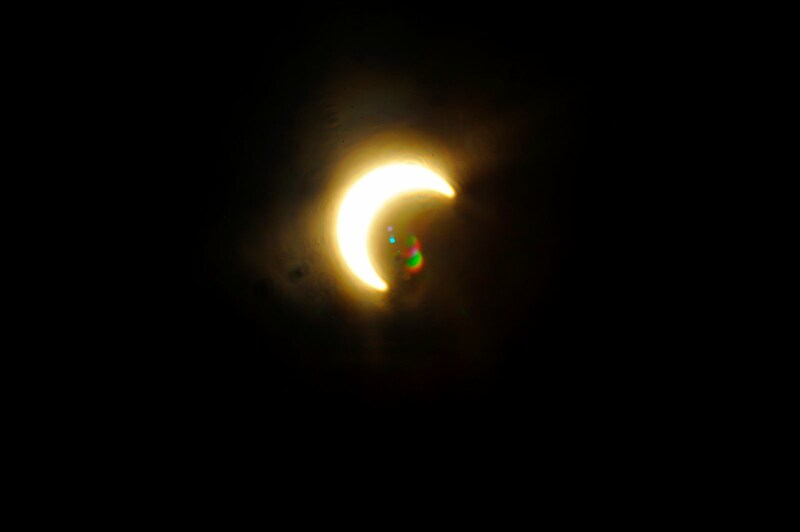 The solar eclipse on May 21, 2012, as seen from Seoul, South Korea. To shoot the solar eclipse I used my Nikon D90, an 80-200, a 2x converter, a piece of aluminium foil, and a hair band. 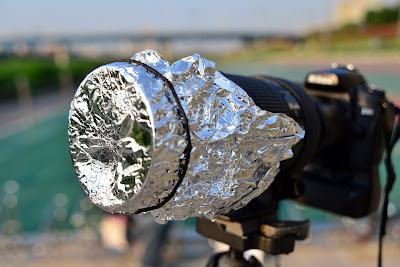 I poked a hole in the center of the foil with a pin and attached it to the end of the lens with a hair band. I shot at 1/500th of a second at f45, using 200 iso. 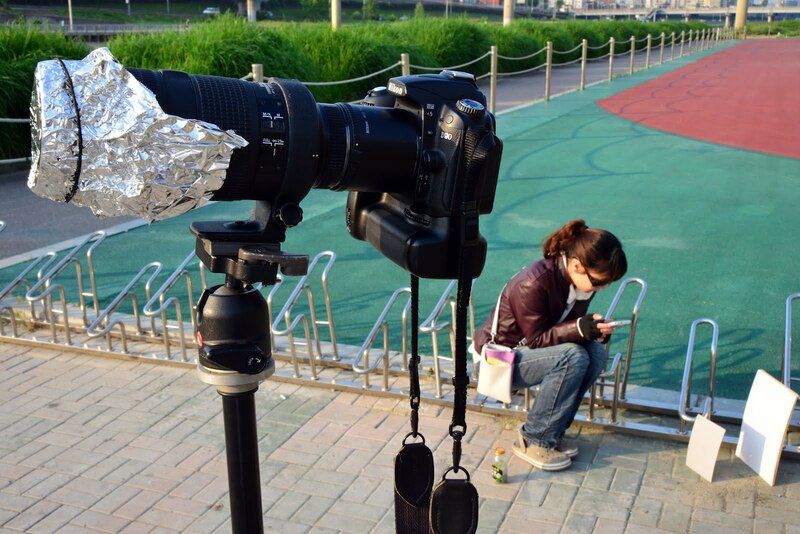 I used the live display as a viewfinder so I wouldn't burn a hole through my eye. 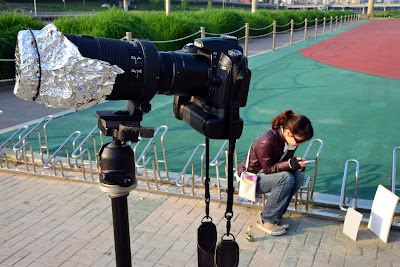 I was much more willing to sacrifice the image sensor, which seems to have sustained no damage. Joanna used a piece of cardboard with a hole cut in it to cast the image of the eclipse onto a white sheet of paper, while I photographed. This was one of my favorite shots out of my 400mm pinhole lens!